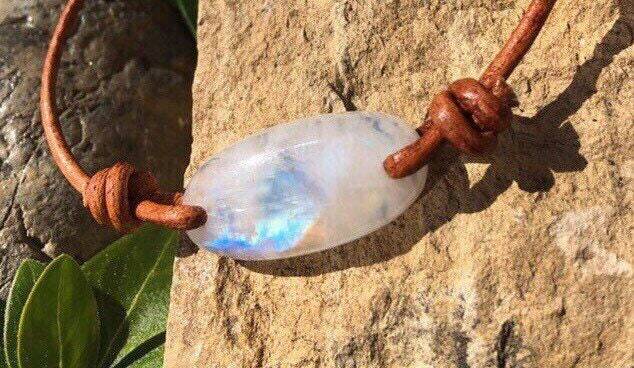 This Moonstone is just gorgeous beautiful stone that is clear/milky and brilliant flashes of blues and a bit of green. 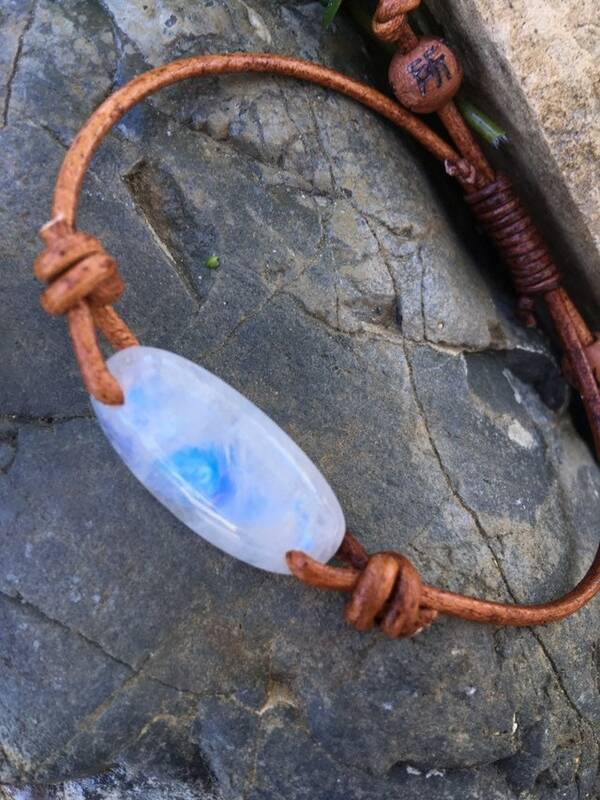 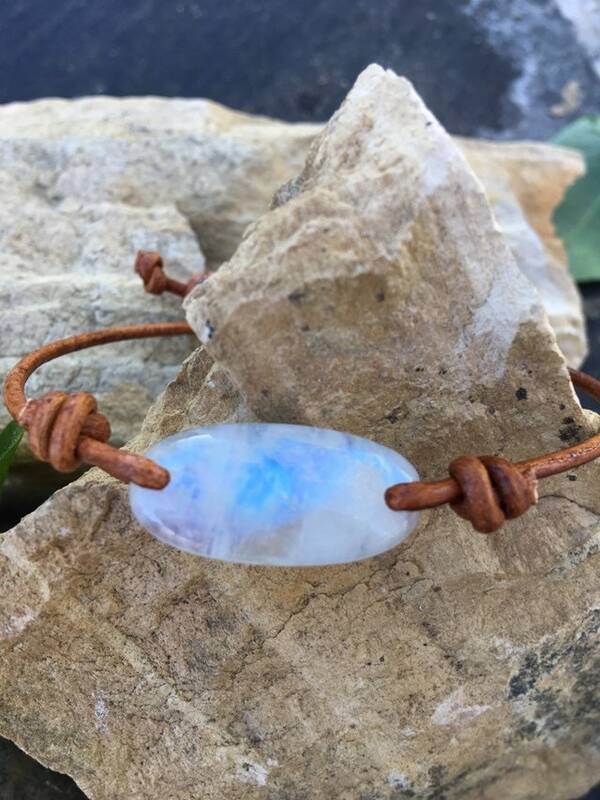 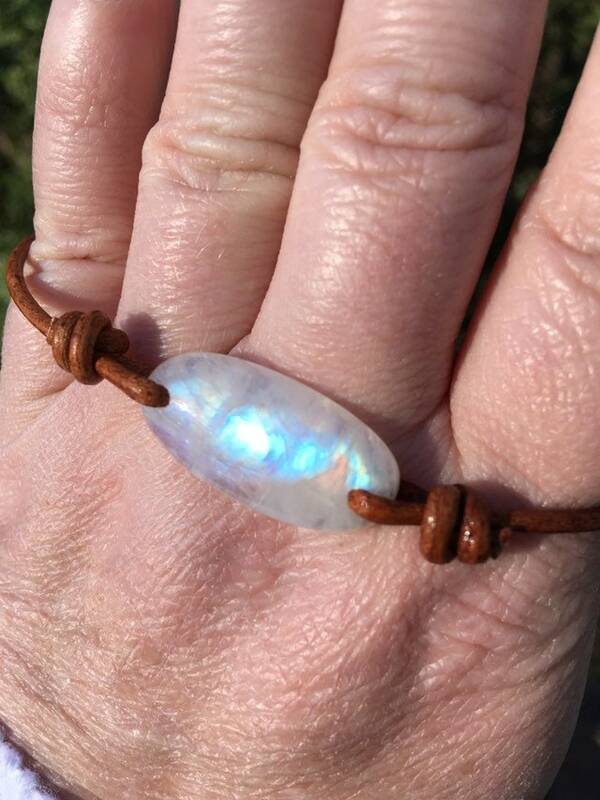 They make wonderful conversational pieces because of the love of the Moonstone. 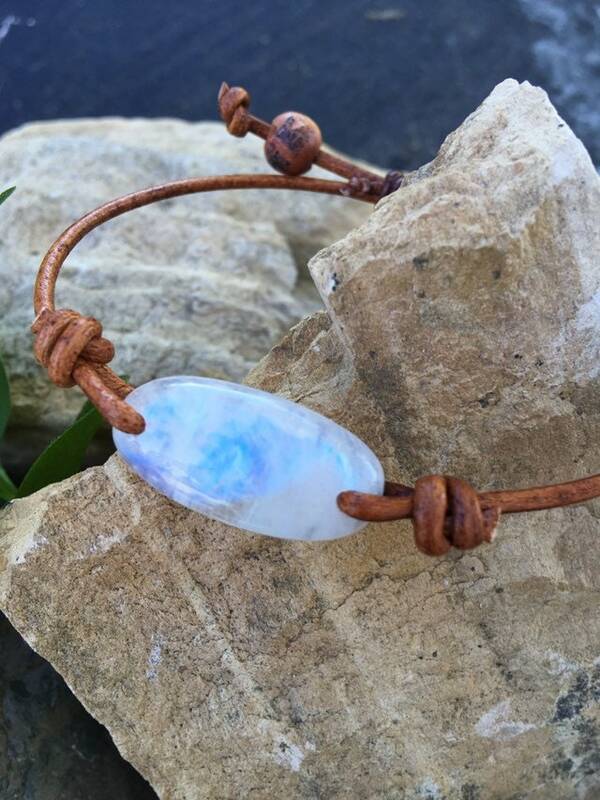 This stone is about 1" long and 1/2" wide with wood accents. 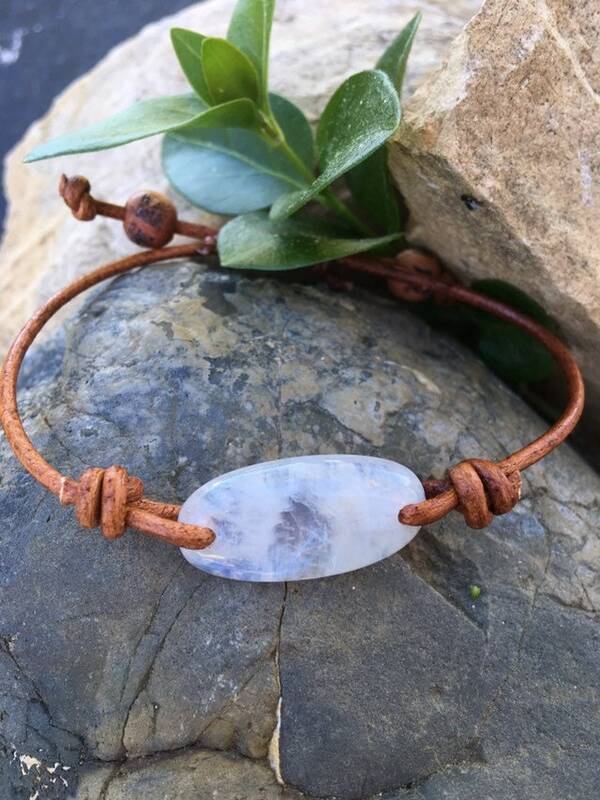 The bracelet is adjustable up to 9” long on brown leather cord.